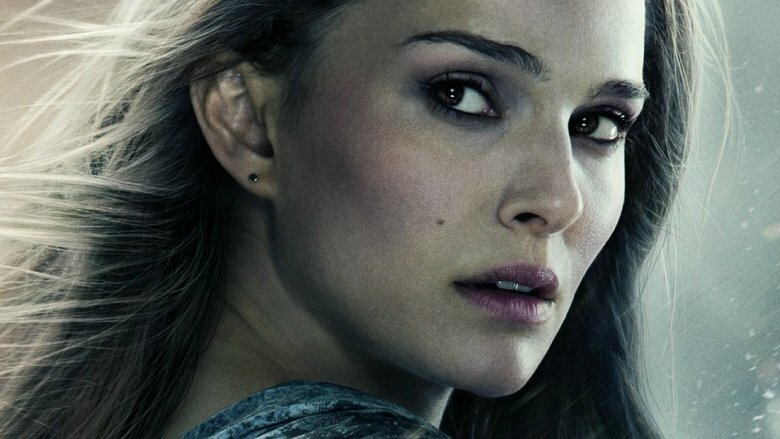 It takes a lot to be more compelling than a mutant alligator, but Natalie Portman proves she can definitely hold her own. Entertainment Weekly has the first photo (below) of Portman in the upcoming sci-fi flick Annihilation, and it offers a glimpse at the next film from writer-director Alex Garland (Ex Machina). Portman plays a scientist named Lena, who is part of an expedition team exploring an area that has been taken over by a mysterious force. "[She] finds a very strange, dream-like, surrealist landscape, and goes deeper and deeper into that world, and also into that mindset," Garland said. The photo shows Lena's meeting with an unusual alligator, and it has a lot of significance in the movie. "It is their first tangible encounter with something strange," said Garland. "The alligator has physical elements to it that should not belong on an alligator. They're starting to get their heads around how weird the place is." 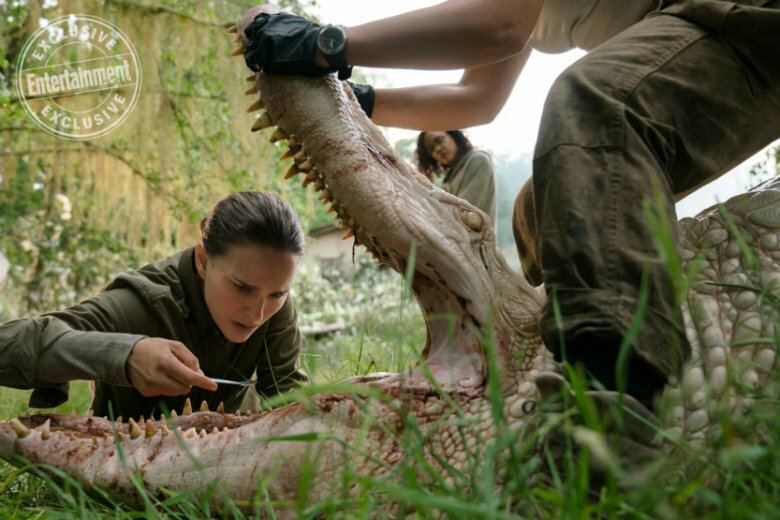 Annihilation is based on Jeff VanderMeer's 2014 novel, the first book in the Southern Reach trilogy. "I was in post-production on Ex Machina, and one of the producers of that film, Scott Rudin, called up and said, 'I just acquired this book, I think it's interesting and, would you take a look,'" Garland said. "I don't finish books, or films, or anything, really, if it isn't grabbing me for one reason. Well, I read it in a sitting. I found the atmosphere incredibly strong and I liked the kind of dream state that it created and put me in. It had all sorts of qualities that I found really interesting. I thought immediately, 'Yes, I'd like to try this.'" While the original book is part of a trilogy, Garland said he sees Annihilation as a standalone movie. "I did once work on a film called Dredd, which I imagined to be the first part of a trilogy," he said. "But it's not something I like doing. I'd rather work on a story that I felt was self-contained rather than one that sort of had a 'dot-dot-dot' at the end. I think that provokes a sort of instant, understandable, cynicism. We sense the money grab and I feel that pollutes the story. So, right from the get-go, I did not think of this as being part of a trilogy; I thought of it as being just a single, self-contained movie. If other people wanted to do that, that would be fine. That's none of my business. But from my point of view, it's just one." Annihilation, which co-stars Jennifer Jason Leigh, Tuva Novotny, Gina Rodriguez, and Tessa Thompson co-star as Portman's team members and Oscar Isaac as her husband, will hit theaters Feb. 23, 2018. Take a look at more movies we can't wait to see next year.